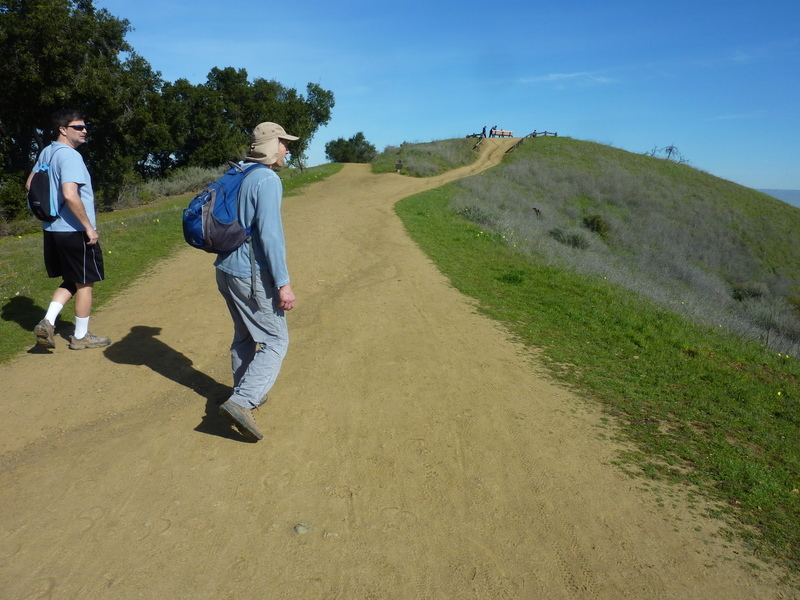 Three of us headed out to Fremont Older Open Space Preserve for a leisurely hike around the park on a fine, Spring-like day in early February. The park is located in the Santa Cruz Mtns foothills adjacent to the cities of Saratoga and Cupertino, about a 15min drive from downtown San Jose. We used the TH parking off Regnart Road (parking for only three vehicles) and visited the three highpoints of the park. Though the lowest, Hunters Point offers the best views of the South Bay from Stanford to San Jose and most of the Santa Clara Valley. After recent rains the grass was particularly green, a fine change of pace after several drought years. While the views are more limited, Nob Hill offers the most quiet seclusion, though perhaps not so much on weekends. A majestic oak tree graces its summit. Maisies is the highest of the three at 1,180ft. We spent about 3.5hrs enjoying the park, taking in the views and a picnic lunch of wine, cheese, fruit and chocolate - very European.